There will be no race day registration available at this event. Saturday, Dec. 16 2017 at Rio Vista Park in Peoria. All Reindeer Dash participants receive a reindeer kit with their registration. 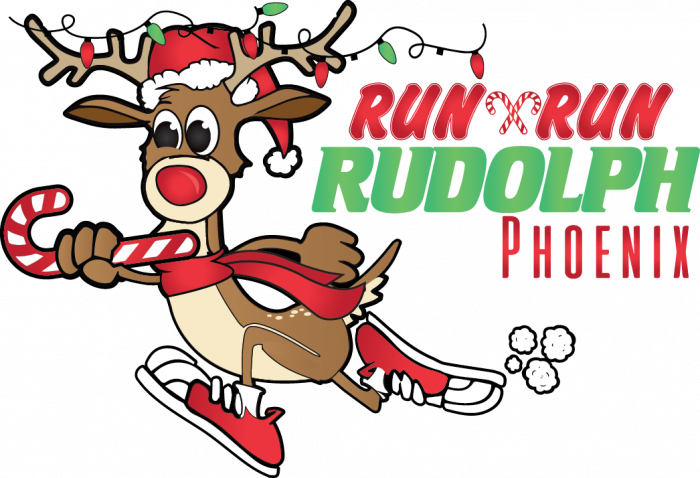 Of course we want you to participate in the Run Run Rudolph Half Marathon, Quarter Marathon and 4 Mile event locally but we understand things come up. So, if you can't join us on race day and still want to run, get the medal, shirt and hat then you still can! Here is your chance to take part in this event no matter where you are! And of course, all prices include shipping! Please note that all items will ship following the event on December 18th. - Custom event Knit Hat for ALL participants. - Reindeer Kit (nose and antlers) for all Reindeer Dash participants. Reindeer dash will be an untimed half mile run. 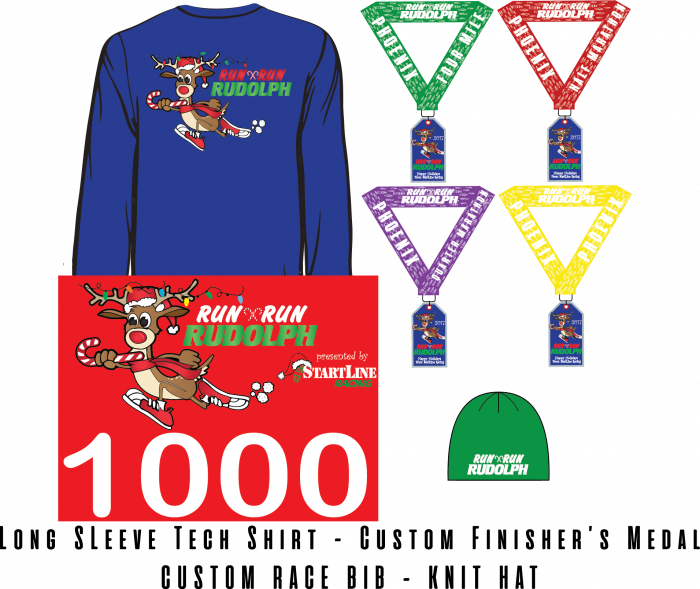 All Reindeer Dash participants will receive a medal, long sleeve tech shirt, knit hat and a reindeer kit (nose and antlers).